I have been MIA for several days--I apologize. I had some bad bleeding on Thursday, again, and while I am trying to be brave and trust the Lord, I must admit, it's much easier said than done. I spent Thursday moping and crying and trying to let go of my desire for control. I am really trying to accept the Lord's will in all this, but it is so difficult. To top that all off, I feel yucky, pretty much all day, which doesn't leave me feeling like blogging. Fortunately, two of my greatest sources of joy have been extra adorable lately. Last Monday, Papa had to stay home with the kids because Baba Casey has pinkeye and we thought it best to quarantine her. 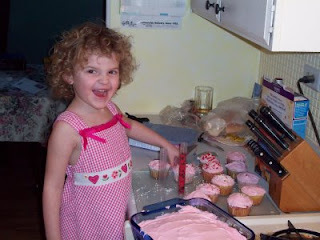 When we had gone to Anna's the previous weekend, she had given Rori a Valentine of cake mix and frosting and sprinkles. Rori had been dying to make them, so she and Papa made them as a surprise for me when I got home from work. They were super tasty, and beautiful. The box showed cupcakes and a square piece of cake on it, so Rori insisted that she and Papa make round cupcakes and square ones too. Fortunately Papa was smart and made a 9x9 pan of cake with the mix that they could cut into square cupcakes. I'm so glad that Rori loves to bake, because it is something I truly enjoy. I don't think it's technically a love language, but if it was, it would be mine :) If she keeps this up, I may end up 500 pounds! 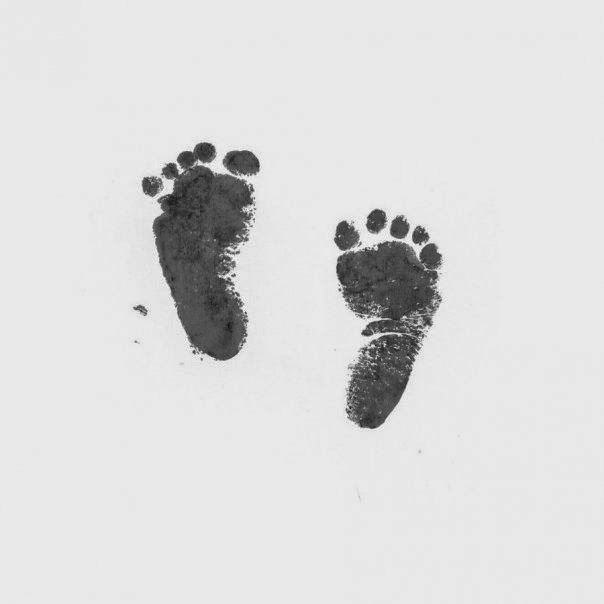 We haven't told the kids about the baby yet, because I want to wait to make sure that everything is ok and ideally wait until we know what we're having. But, the kids are already practicing having a baby around. Bill had brought out our bouncy seat from storage to give to Auntie Jenna to use for her baby that is on her way. Rori and Liam were like moths to a flame with the seat--I'm pretty sure they exceed the weight limit, but it was sweet watching them bounce each other. Hopefully they'll be as sweet to a new baby! I'm so glad Rori had fun making cupcakes -- she matches them. :) Papa is so smart & color coordinated! 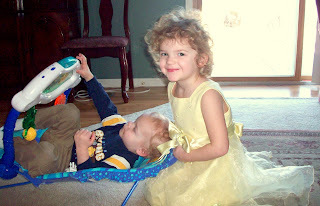 It is so funny to see Rori and Liam in that bouncy seat -- how quickly times flies -- weren't they just babies in that seat yesterday? That seat is going to see a lot more use in the months to come. 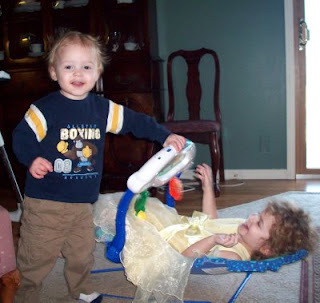 :) Sorry you're feeling so yucky - but, YIPEE -- that baby needs some elbow room! I want cupcakes made by Rori! I can't believe she fit in the bouncy seat- She's so long! Spring is here, sort of!